This may be the bones that later work would add flesh and blood to, but Isis's 2000 debut -- reissued now on Robotic Empire -- has its own harrowing pulse. If it's more direct than future albums, it's still no less vital of a sound. 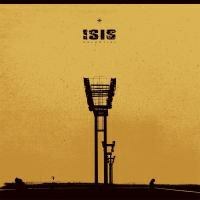 LA-via-Boston metal pioneers Isis did a lot with five full albums in their career before disbanding 2010. They seem eager to revisit their legacy of late, as we saw last year's odds 'n sods collection Temporal hit the shelves, a series of live releases, and from Robotic Empire a reissue of the band's debut record Celestial. Celestial is an album often overshadowed by what came after it. It was followed up by the expansive classic, Oceanic, and basically every record built on that album's post-rock, ambient-touched power, leaving behind the more straightforward metal moves of Celestial. But, in light of what came after it, this is a curious album to look back at in retrospect. It's not only an impressively powerful debut, it also has some fledgling pieces that found their way into later work, and has its own set of odd incongruities that make it distinct and, at its best, mesmerizing. The songs on Celestial are big, thundering movements, often not terribly subtle in their power. "Celestial (The Tower)" chugs ahead heedless, storming to hefty life and never letting up. "Glisten" digs in even deeper, slowing tempo but ramping up the sheer weight of sound. The guitars are soaked in an all-encompassing kind of distortion. The vocals are shrieking fits. The drums dynamic but still teeth-clenchingly loud, accented where every possible by big crash cymbals. "Swarm Reigns" opens up a little more space, but not much. The drums slide off-kilter in curious ways, tipping the album's otherwise steady chug on its ear. The steadiness returns, though, in many different ways. "Deconstructing Towers" hammers fittingly, so much so that it hits the same crashing chords too often, overplaying a dramatic repetition and sapping it of its energy. Similarly, "Collapse and Crush" -- note again the breaking imagery in the title -- tries to ramp up the space of "Swarm Reigns" and mesh it with the density of "Glisten", which starts the song in an interesting puddle of sludge, though it does at moments feel overstuffed and confused. It's in these moments you can feel the band in its early stages trying to feel out the borders of this music, of their epic style of metal. The tools here -- mostly just guitar, bass, drums, and screaming, which drown out any other small flourishes -- are simple but effective. If the interstitial "SGNL" tracks seem insignificant, they at least show the band's concern for space and, in fact, create some much needed space between overwhelming tracks. That overwhelming size, though, is -- as a whole -- trickier than it presents itself. We open with "Celestial (The Tower)" and move to songs like "Glisten" and close with a tune called "Gentle Time". It's worth noting that these are the songs that stand out after so much time. While the others fall into what feels like typical metal destruction mode, these songs remind us -- in effective, distinct ways -- that metal is not a music of monotone moods, of merely anger and rage. The slicing solos of "Gentle Time", and the speed of the drums, are not focused on the clods of dirt these songs dig into -- and they do dig down -- but rather, they reveal the dust that gets kicked up, the beautiful haze the band has kicked up around them. the little mineral bits that reflect in the sun. The moves are precise here, but the tones (and the voices) are ragged, murky. And Celestial's finest moments play to that dichotomy, honing in on the miasma around and not the ground being stomped underneath. The experimentation here is, in comparison to what would follow for Isis, relatively basic. But to compare this to what came after is beside the point. It may be more informative to go back to this album than to, say, dig into the dark corners of their discography on Temporal. Yes this is the bones that later work would add flesh and blood to, but this album has its own harrowing pulse. If it's more direct than future albums, if its energy sometimes gets in the way of its composition, it's still no less vital of a sound.